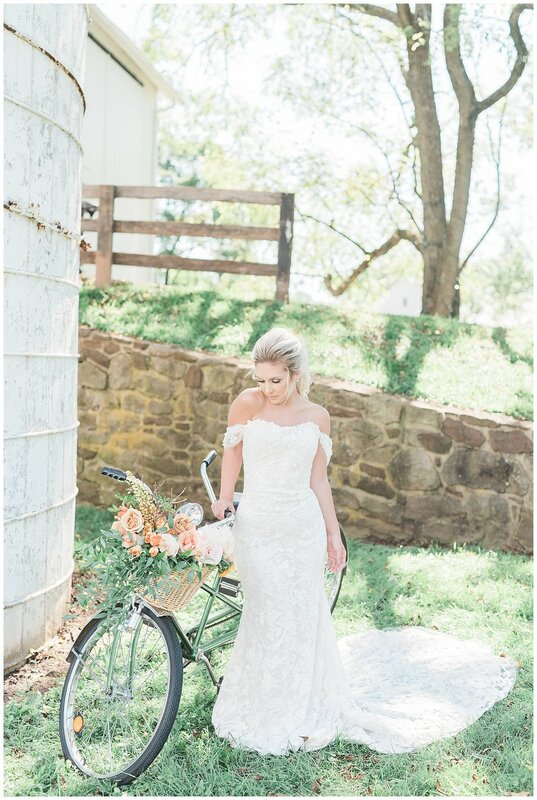 From Jennifer: With the help of the talented vendors listed below, the styled wedding inspiration shoot I had dreamed up was brought to life in the most beautiful way. I wanted to put together a shoot that would channel the New Jersey summer time vibes of the fresh farm stand fruit NJ is known for - peaches, nectarines, cherries, berries, etc. 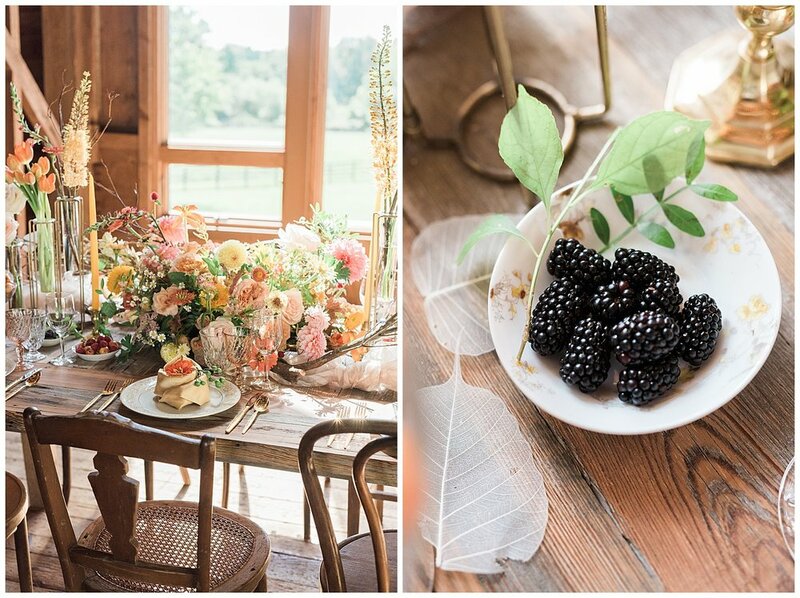 into a summer brunch-style wedding set on the gorgeous farm landscape of Sterlingbrook Farm Events venue. 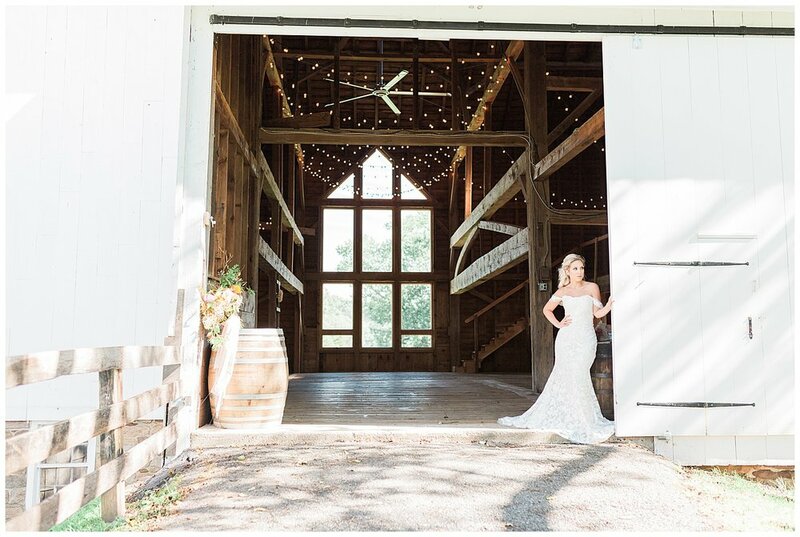 Having the barn element for the reception and the beautiful farmland filled with horses and lush greenery was the perfect backdrop I envisioned for the ceremony. 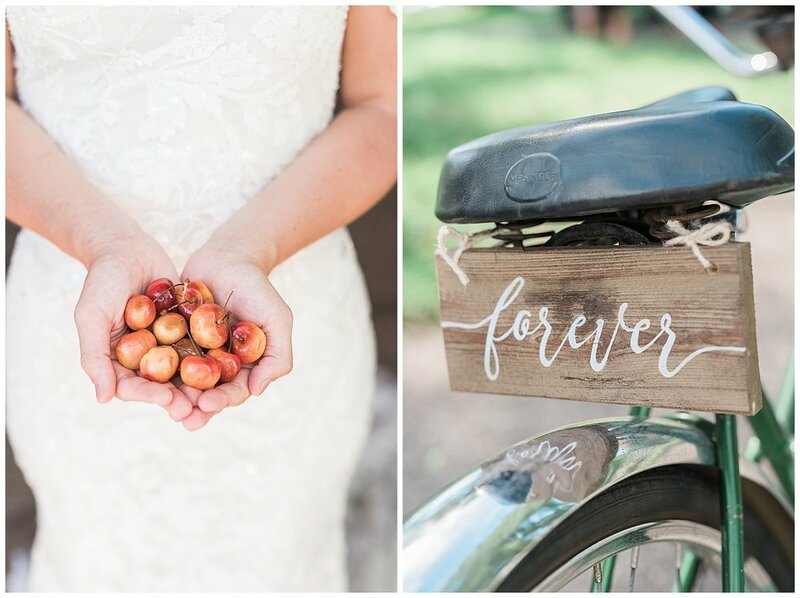 Paulina & TJ of Blue Jasmine Florals made this whimsical summer fruit inspired barn wedding idea come to life with their floral design. They created a big, wild, and beautiful bouquet, stunning centerpiece and place setting, and a gorgeous circle arch of florals. The ceremony circle arch was accented perfectly by vintage rentals from Rustic Drift. 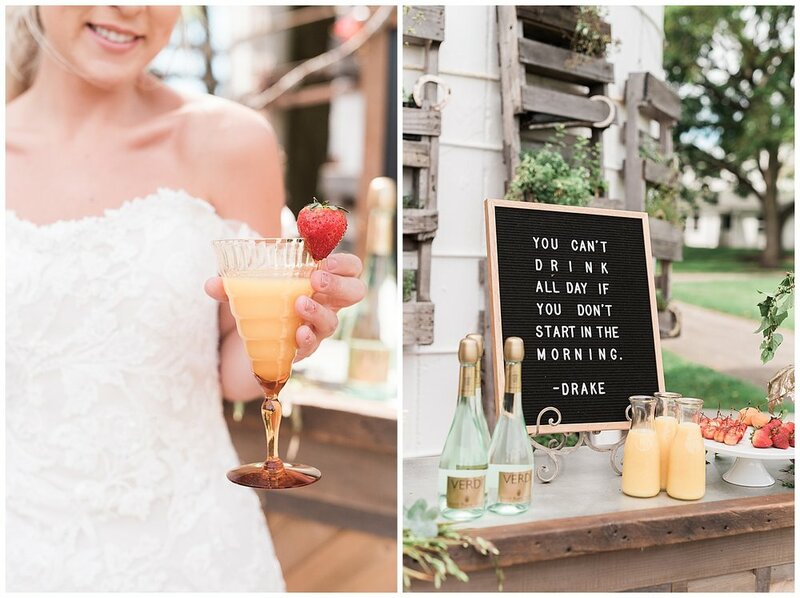 Megan of Rustic Drift also featured tabletop rentals of gold-accented china, a small lounge, tandem bike, and hand-made shiplap wooden mimosa bar - complete with a perfect lettered chalkboard and rosy pink champagne glasses, as well as a letterboard featuring the most perfect and fun Drake lyrics. 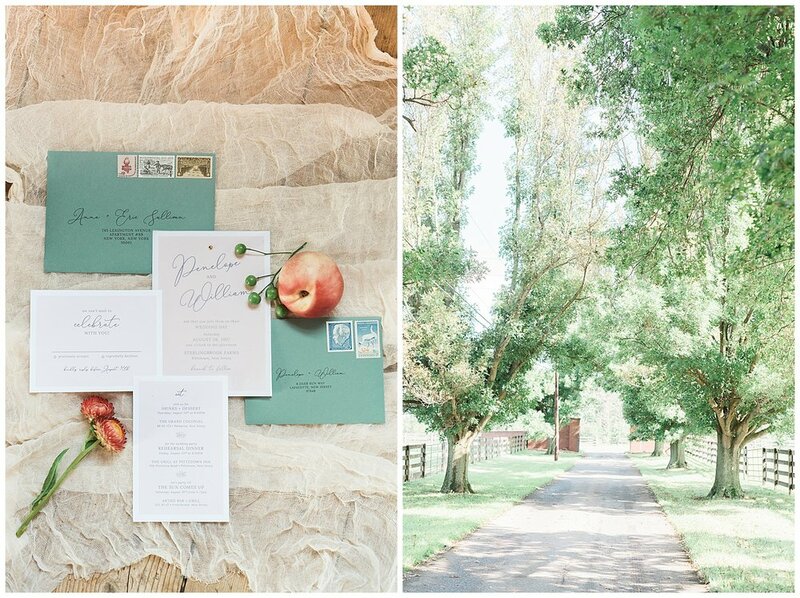 The invitation suite designed by Jula Paper Co. is the perfect scene setter for this event with the ethereal vellum overlay and an adorable peach watercolor envelope liner. 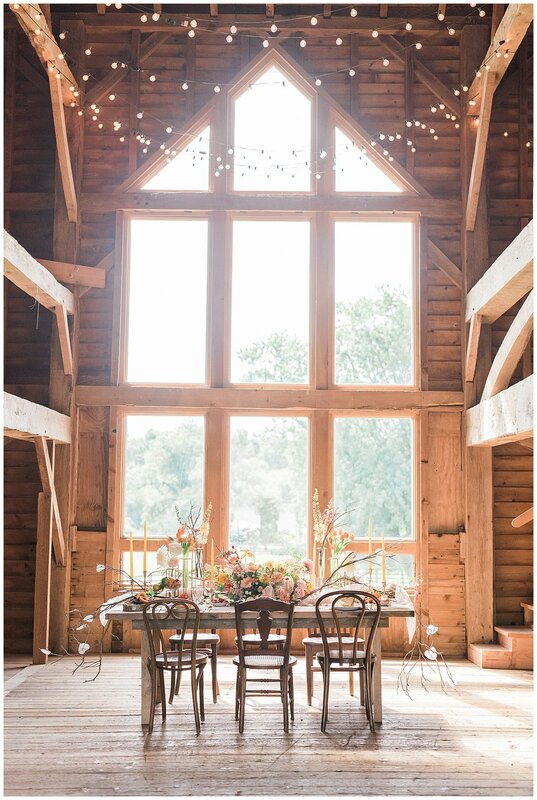 And the brunch reception featured the reclaimed barnwood table and mismatched chairs by Beyond the Barn Rentals, that were the perfect compliment for the grand window inside the high-ceiling barn. Michelle Elise Artistry created the perfect summer style looks with effortless windswept hair & natural makeup, modeled by the beautiful Samantha Linn. Samantha wore a light pink gown with a full tulle skirt for the ceremony and a sleek off the shoulder dress for the reception look, both supplied by Vesa Brides. The video created by ToneMedia really brings together all the magic of this styled wedding collaboration.